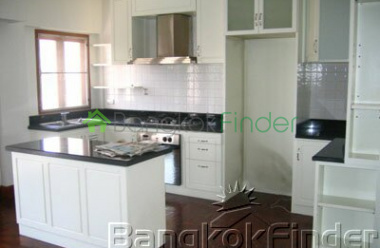 Condos for rent Sathorn Ceramic and parquet floors throughout. Eat-in kitchen complete with beautifully finished leaf motif ceramic tile backdrop and contoured counters, double stainless steel sinks, upright refrigerator with freezer compartment and washing machine. 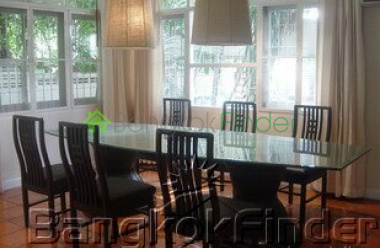 Rent for larger two bedroom unit with private garden is 85,000 bht. Negotiable. Condo for rent Sathorn 3 bedrooms Ceramic and parquet floors throughout this spacious condo for rent which features and eat-in kitchen complete with beautifully finished leaf motif ceramic tile backdrop and contoured counters, double stainless steel sinks, upright refrigerator with freezer compartment and washing machine. Penthouse for rent Sathorn 4 bedroom This is a newly renovated penthouse unit in one of the most unique buildings in Thailand. It's totally out of the 60's and possesses the kind of charm that most modern penthouses for rent and buildings these days sadly lack. 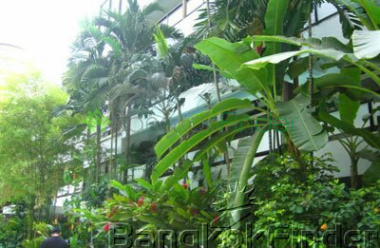 Surroundings are lush and green vegetation. Very popular block and currently this is the only available unit in the building. 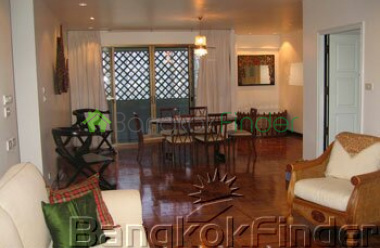 Condo for rent Chidlom 2 bedrooms BTS This is a beautifully built and furnished, charming 1960's 'retro' two bedroom condo for rent that has been completely refurbished in fine, elegant style, and to international standards. 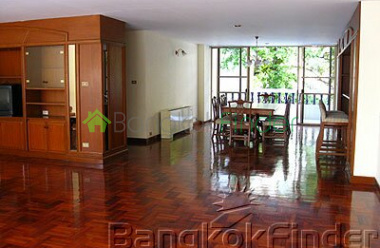 2 bedrooms 120 sqm Chidlom Bangkok A very spacious condo at the heart of the diplomatic community catchment area and the CBD, this lovely two-bedroom home offers loads of space - 120 square metres - in what is an older building with character. Condo is within walking distance of major embassies and the Chidlom BTS station. 2 bedrooms 120 sqm Ruamrudee Bangkok condos This low-rise condo is near to the 5-star Conrad Hotel and just 500 metres from the BTS. Easy central transportation is the nice aspect. Nice to walk over for dining at the hotel on Soi Ruamrudee and All Seasons Place. 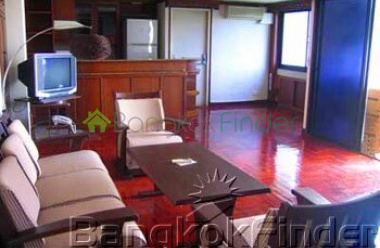 condos for rent Ploenchit-Chidlom 3 bedroom This older building is maintained very well and offers HUGE living space not found anywhere else in this area at a reasonable asking price.This is in the wireless road area near the American Embassy. Elequent surroundings and in a nice part of town. Walk to the BTS in two minutes, or to cafes such as Starbucks. 3 bedrooms 165 sqm Ploenchit Bangkok condos A recently renovated and fully furnished condo for rent with a very generous footprint totalling 165 square metres, you are in an especially well-maintained building with good security and in a very desirable residential neighbourhood with fantastic amenities nearby, many five-star in quality. 3 bedrooms condo for rent Sukhumvit BTS Asoke This Sukumvit condo has large rooms with lots of natural light and very large balconies.So if your looking for space check this out. Its has the kitchen appliances such as microwave, dishwasher and oven. Also has cable with television. Condo for rent Asoke 3 bed 320 sqm This huge condo for rent is in a fantastic location in a quiet residential soi, right at the heart of the best Sukhumvit has to offer, and within easy walking distance of the Asoke BTS and Sukhumvit MRT stations, not to mention the amazing Terminal 21 lifestyle mall with all it has to offer kids and adults alike. 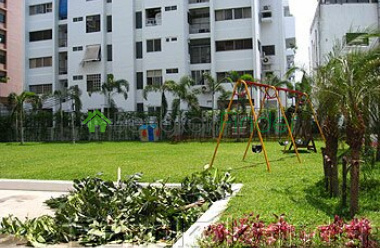 Nana condo 3 bedrooms BTS New condo with quality finishing, just five minutes walk to Nana BTS. Many good restaurants and food stalls nearby. One of the best residential streets on lower Sukhumvit and this is one of the most popular buildings with expat families in this area. 1 bedroom 60 sqm Soi 12 Sukhumvit condos Sometimes you get lucky and find the condo most have missed, and if you are really lucky it might be on Sukhumvit Soi 12, a quiet and restful soi but with its own dynamic personality, featuring restaurants and entertainment and ready access to the best life on Sukhumvit has to offer, including easy access to the BTS Skytrain system at Nana station.